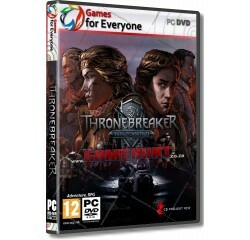 Thronebreaker - The Witcher Tales - R140,00 : Game Hunt, Where we lead, others follow. Crafted by the developers responsible for some of the most iconic moments in The Witcher 3: Wild Hunt, the game spins a truly regal tale of Meve, a war-veteran queen of two Northern Realms - Lyria and Rivia. Facing an imminent Nilfgaardian invasion, Meve is forced to once again enter the warpath, and set out on a dark journey of destruction and revenge. Embark on over 75 thought-provoking side quests - one of the hallmarks of The Witcher series. Explore never-before-seen parts of The Witcher world - Lyria, Rivia, Aedirn, Mahakam and Angren. Build an army and engage in story battles, which twist the game's rules in wildly unexpected ways. Processor - Intel Celeron G1820 2.7GHz or AMD APU A4-7300 Dual-Core® or equivalent AMD® processor.